Badminton seems to be attracting a fair bit of attention in Chennai these days. While the Chennai Smashers have gained popularity in the Premier Badminton League, players like S Sankar Muthusamy are putting Tamil Nadu’s name upfront in the world badminton arena. Last October, Sankar Muthusamy became the first player from Tamil Nadu to bag a bronze medal at the Badminton Asia Junior Championship, in the Boys Singles U-15 category. “He is also the first player from the state to have won the national singles. Sankar’s achievements have been an inspiration for many to pursue the sport. More people have been joining the academy recently,” said Aravindan S, Head Coach, Fireball Badminton Academy at Mogappair. But apart from academies and private shuttle courts, does the city have public spaces where the ordinary badminton enthusiast can practice the sport? Contradicting its own policy of creating recreational facilities for citizens, the Greater Chennai Corporation has been giving minimal priority to some sports. As per the Parks Department of Chennai Corporation, the lands under Open Space Reservation, handed over to the civic body, would be converted to playfields. A builder who owns over 2.5 acres of land should allocate a part of it as OSR, and develop public spaces like parks and playgrounds there. Chennai Corporation can take over the OSR land if the builder has not developed it. “As part of this policy, the corporation has been beautifying parks and converting OSR lands into playfields. A lot of dedicated playfields can be expected in the next few years,” said a senior official at Chennai Corporation, seeking anonymity. However, the policy is not being implemented as expected, say players. “Badminton is among the top three preferred sports in Chennai. From children to senior citizens, many play badminton as part of their daily exercise, and also to become an expert in the sport. However, there are not a lot of corporation-maintained courts in the city. 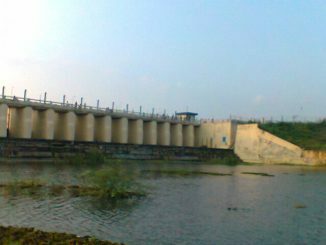 The Parks Department’s project hangs in the balance,” said Arun Erik, a district-level badminton player. In an earlier article, Citizen Matters Chennai had pointed to the lack of training facilities for professional athletes in the city. However, it’s no easier for the average citizen to access public facilities for sports either. The city’s 525 public parks have children’s play areas, alongside greenery to combat pollution. The 210 corporation-maintained playgrounds have space for sports like cricket and football. But the corporation maintains very few courts for badminton, which is largely played by middle-aged citizens in the city. G Jagannath, a resident of Kolathur in North Chennai, routinely played badminton with his friends at an empty plot near his residence. However, when construction commenced at the plot, the team started looking for alternative suitable places to play. “We were sad to note that none of the six parks here could accommodate badminton players. Corporation playgrounds are not the right choice as they are large and breezy,” said Jagannath. As the options were minimal, Jagannath and his team settled for the playground of an elementary school in Villivakkam, close to Kolathur. “Looks like the parks and playfields are no more for badminton players. Many parks, in the name of promoting greenery, have planted just grass. While there is space for gym and children’s play area, no place is allocated for sports such as badminton, basketball and volleyball,” Jagannath noted. Corporation officials say that citizens should not expect play space in parks that are intended for promoting green cover. “The existing shuttle courts in reputed parks were set up by citizens, which is unauthorised. 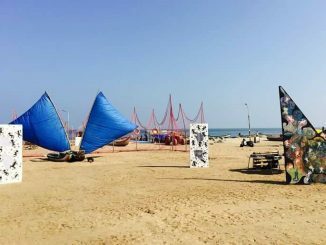 For example, in Anna Park in Royapuram that has a footfall of 11,200 people everyday, there are at least 20 unauthorised shuttle and tennis courts,” said the corporation official. Even though the civic body has constructed four indoor shuttle courts in Chennai, these are nowhere close to satiating the demand for courts. The four courts are located at Mandaivelipakkam, R R Colony in Jafferkhanpet, Karpagam Avenue in Mylapore and Shenoy Nagar, according to information in corporation website. These courts are not centrally located; they are far for the residents of north and south Chennai. Even though the court is open for a good part of the mornings and evenings, citizens who get free time only late in the evenings, after the day’s work, cannot play. The indoor court at Jafferkhanpet, which was inaugurated with much fanfare two years ago, had barely a few players on a Thursday evening. While the shuttle court is not in poor condition, the empty plot in the premises of the court which is used by children, is filled with debris. The basketball court in this sports complex is damaged, with the goal post worn out and its base battered. “The facilities here are not on par with the private ones, the reason why footfall has reduced,” said Hari Prasad, a resident nearby. 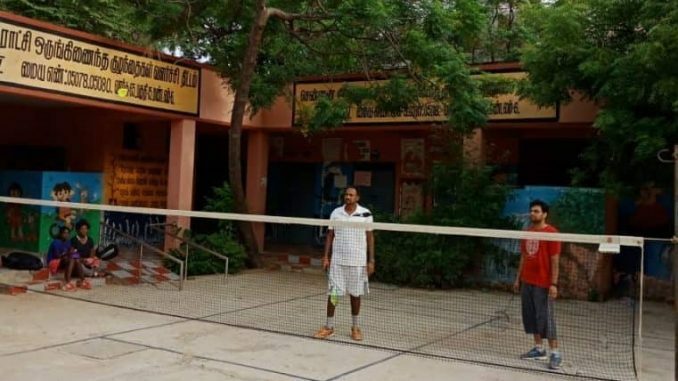 While the corporation does not permit shuttle courts within its parks, it did allow an indoor badminton stadium in a park adjacent to the TAISHA (Tamil Nadu All India Service Housing Association) complex in Virugambakkam. 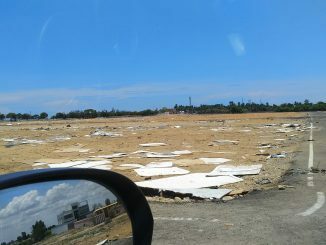 The corporation had given permission based on the recommendation of residents at TAISHA complex, but does not maintain the stadium, said the official quoted earlier. Only the residents of the complex are allowed entry into the stadium, which is a violation of the Tamil Nadu Park and Playfield Act, 1959, reported The Times of India last September. The lack of play spaces in parks has worked out in favour of private shuttle courts that are mushrooming in the city. Proper maintenance and lenient timings also add to the convenience of players. “In the past one year, Chennai saw the inauguration of more than 180 indoor courts, with at least 50 new ones on the Old Mahabalipuram Road, the city’s IT Hub. The trend explains the growing number of people embracing badminton to stay fit and as a hobby,” said P Srinivasan, Manager at Rainbow Badminton Court at Vadapalani. Private shuttle courts charge a minimum of Rs 250 upto the maximum of Rs 500, for a team per hour. The monthly charges vary from Rs 1100 to Rs 1600 per person. Even though the fees in the corporation-maintained courts are far lower at Rs 200 per month, patronage is dipping due to poor maintenance and inflexible timings. On an evening stroll in Chennai, one is sure to come across some adults and children playing badminton on the streets. Considering the popularity of the sport, it is high time the civic body earmarked space for more badminton courts and maintained the existing ones better.